Price: £7,850 + VAT for standard size shown. 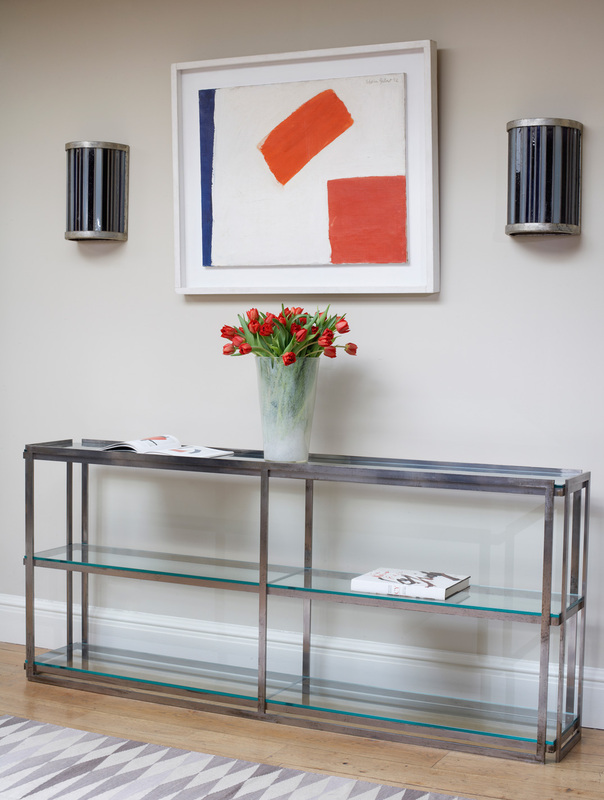 To custom make a patinated distressed polished steel framed étagère with toughened clear glass top and shelves. Available in a bronzed steel finish, or brass. Custom made to any size.